Dr. Stewart Mackie, Pediatric Cardiologist at Bay State Medical Center in Springfield, Massachusetts, presents essential cardiac assessment and management strategies for school nurses. This program is divided into 6 segments with questions following to stimulate learning. 2. describe routine and emergency care for students experiencing dizziness, syncope, and chest pain. 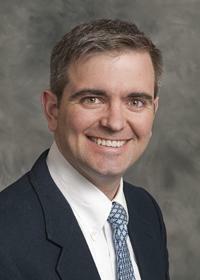 Dr. Stewart Mackie is a Pediatric Cardiologist at Baystate Medical Center in Springfield, Massachusetts. At Baystate, he is clinical director of the exercise physiology lab, co-director of the lipid clinic and Associate Residency Program Director for the Pediatric Residency Program. He completed his Pedatics Residency at Brown University in Providence, Rhode Island and Adiology Fellowship at the University of Michigan in Ann Arbor, Michigan. The Northeastern University School Health Academy and Dr. Stewart Mackie have no conflict of interest to declare and did not receive commercial support for the development, implementation, or evaluation of this online program. Northeastern University School of Nursing is acredited as a provider of continuing nursing education by the American Nurses Credentialing Center's Commission on accreditation. 2.5 contact hours are provided upon the completion of the program and online evaluation within 2 weeks of participating in this online program.